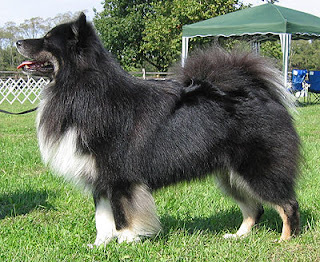 The Finnish Lapphund breed, tough, fun-loving, medium-sized breed of Spitz type, which originated in Finland in 7000 BC, are used as guard dogs and for herding reindeers. Presently, this breed of dogs is famous as a herding dog for cattle and sheep and as a friend in their homeland and European countries. However, outside the Nordic countries, they are considered to be rare specie. This dog breed is a healthy one with only minor dog diseases such as cataracts and Generalized Progressival Retinal Atrophy and in a few cases hip dysplasia. They tend to live for 12 to 14 years.